Let’s face it diet food is bland and boring and it’s not sustainable long-term. 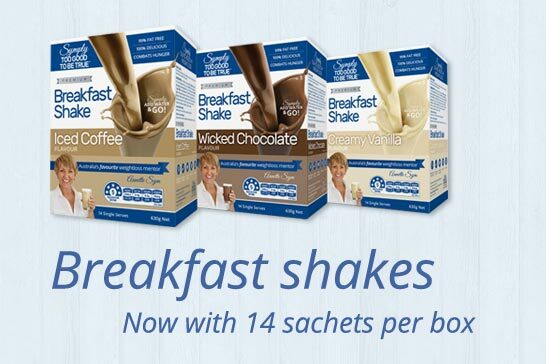 That’s why I want you to get off the diet rollercoaster and come into my world of healthy living! Hi, I’m Annette Sym and I once weighed 100 kilos. 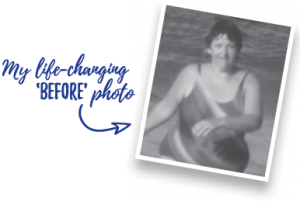 My life-changing moment happened when I saw a photo of me in a swimsuit, I decided right then and there that something had to change. 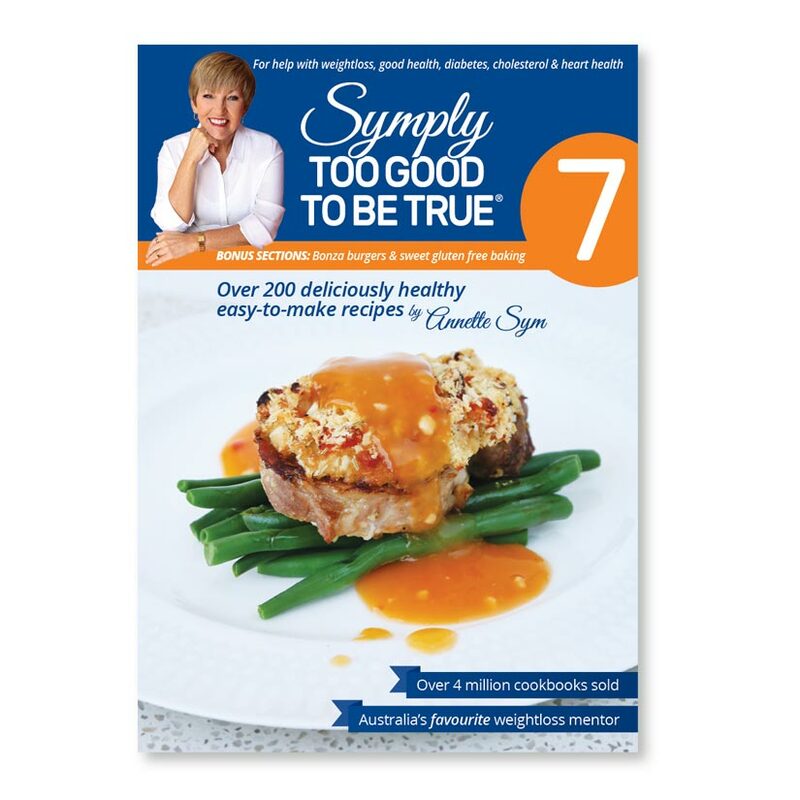 Long story short, I cooked myself slim and have gone on to create eight fabulous cookbooks. 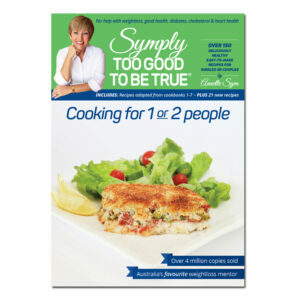 In my latest edition, Cooking for 1 or 2 people, I’ve converted many of the favourite recipes from my other seven cookbooks into meals suitable for one or two people. There’s also 21 fabulous new recipes. 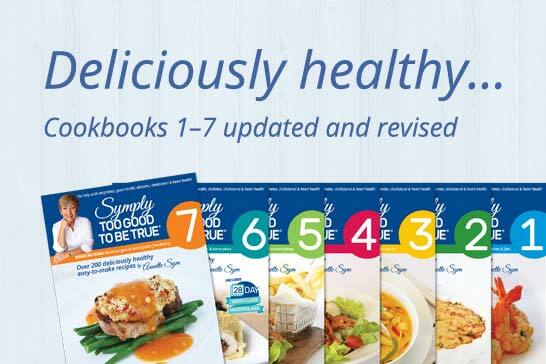 In cookbooks 1-7 there’s over 700 tasty delicious recipes to choose from. 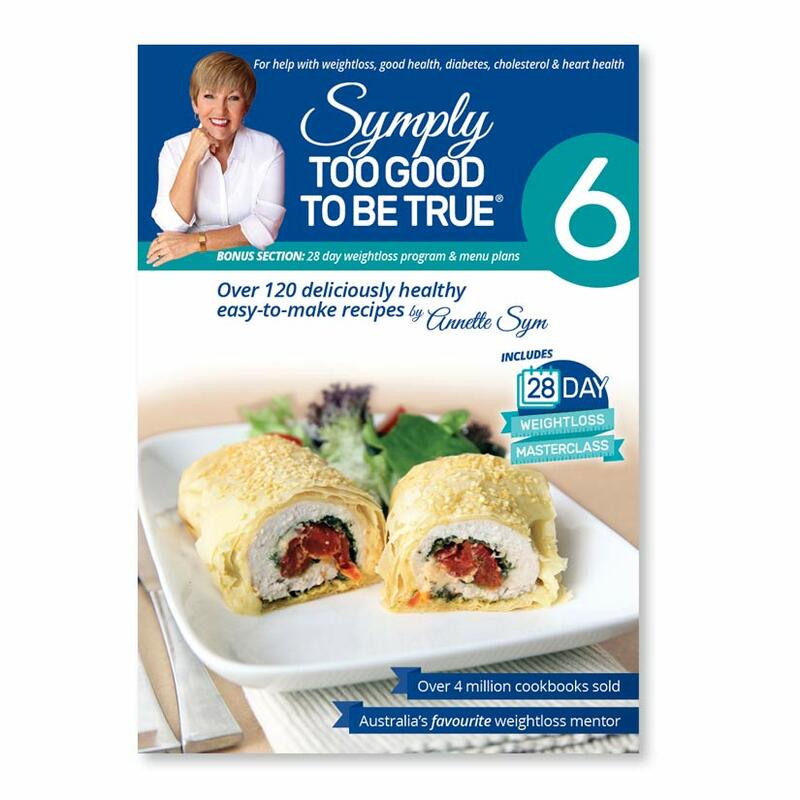 I’ve transformed your family favourites into healthy low fat versions and I’ve created loads of tasty recipes that are now family favourites in many homes across Australia and beyond. There’s everything you need – starters and light meals, vegetables and salads, meat dishes, desserts and baking. There’s also bonus sections in each cookbook, for example if you’re having a party you will find all of your party food favourites in book 4 and book 7 has the Bonza Burgers section. I remember when I was losing my weight I never knew what or how much to eat. I was so caught up in crazy fad dieting and thought “if I don’t eat I’ll lose weight.” How wrong I was! With every fad diet, I was just getting fatter and more frustrated. 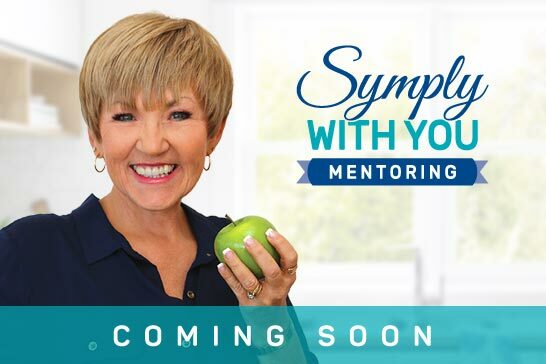 I want you to learn how to eat like a healthy person so in book 5 and book 6 I’ve included 28 day weight loss menu plans to help you get started. 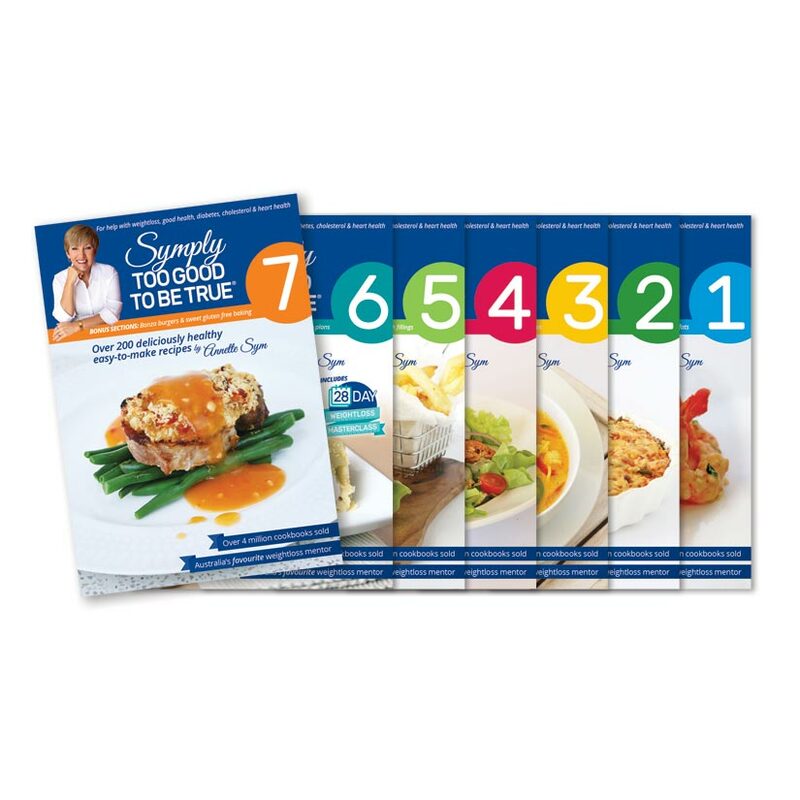 Each menu is based on recipes included in that cookbook and uses items that are readily available in the supermarket. And if you need more support, book 6 also has a complete 28 Day Weight Loss Masterclass. Weight loss can be deliciously healthy when you cook the ‘Symply’ way. Head over to my online store. 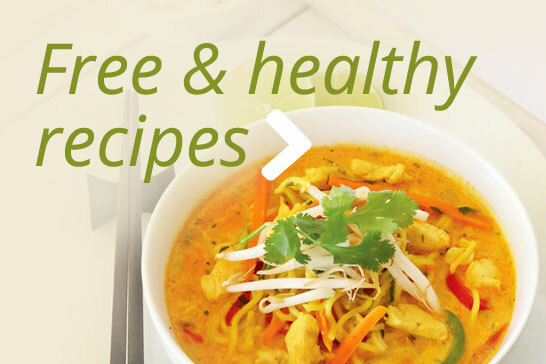 Click on the cover image to find out what’s included in each cookbook.